Woohoo! 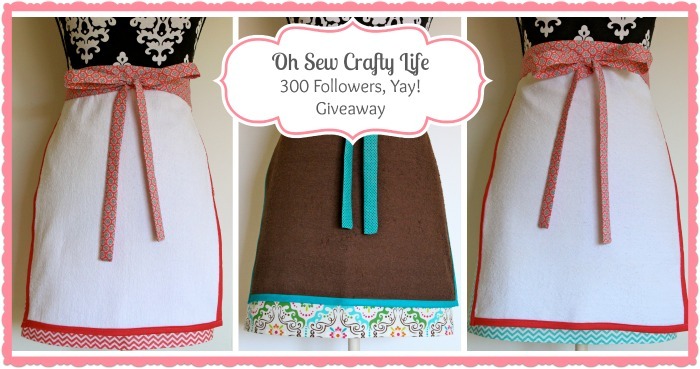 Oh Sew Crafty Life hit 300 followers! As promised, I am giving away one of my favorite items from my shop, J & A's Handmade Lovelies: a Dishtowel Apron! 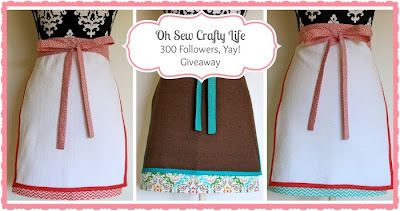 Winner will be able to choose one Dishtowel Apron from the three patterns I offer: Turquoise Chevron, Coral Chevron, or Brown and Turquoise Floral. The winner will be chosen at random and notified on Monday, July 22nd. So, hurry, you only have a few days to enter! If you are already following me on Facebook and Twitter, then you are already ahead of the game! 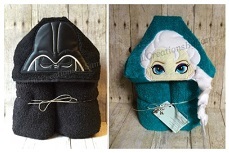 If you aren't, you can click through the Rafflecopter to follow me and earn entries! Good luck and thank you for following! Congrats on the 300 fans, you deserve it! I'm a tad late but just did it now. I wish all giveaways were this easy. Congrats on 300 fans!! That's awesome! !